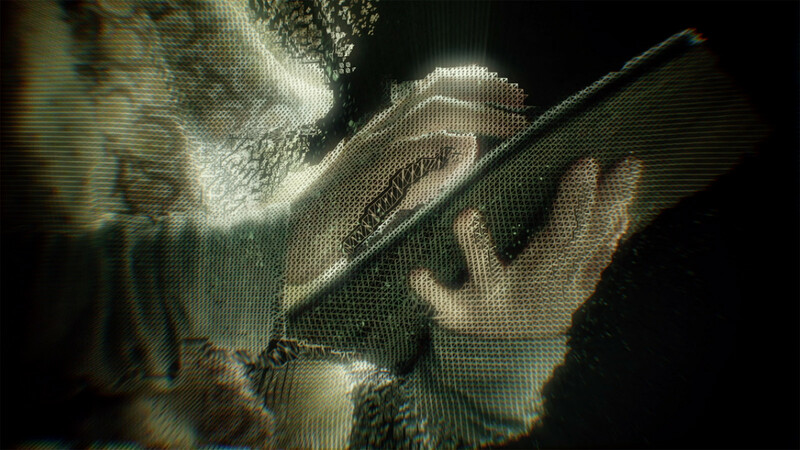 The idea was to show how real-world characters could manifest from a virtual world of stats and numbers. 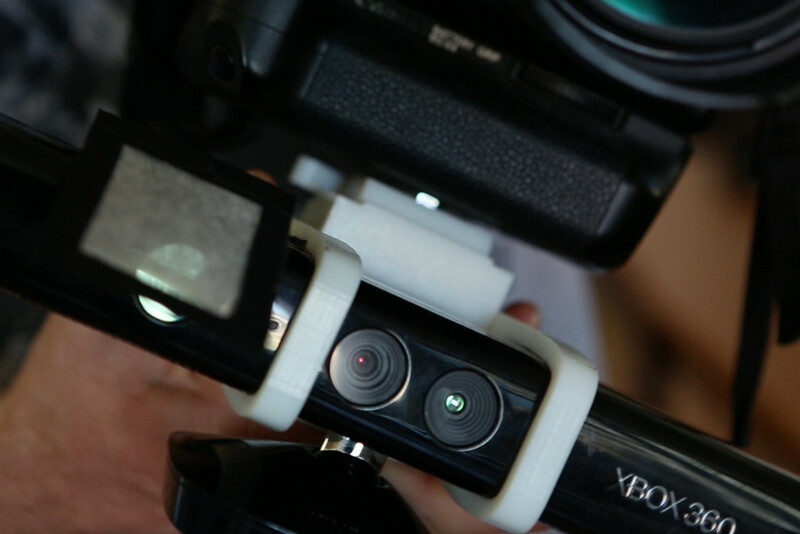 We 3D-printed a bracket that allowed a Kinect to be attached underneath a regular DSLR. 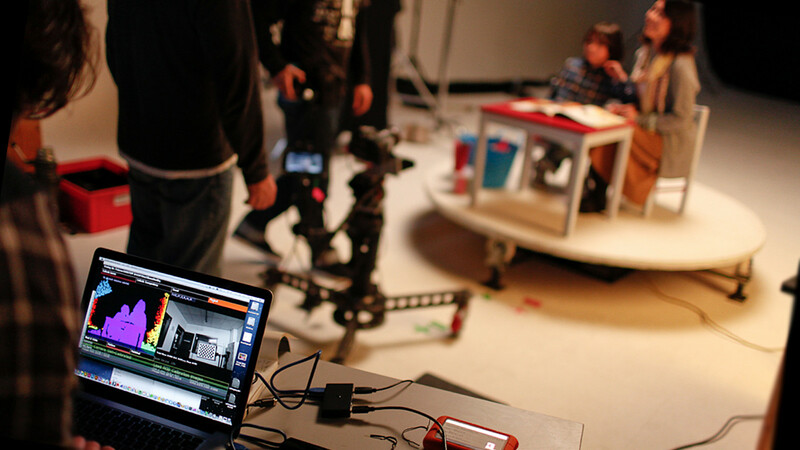 This rig we used to simultaneously capture both depth and colour footage of the actors. The depth information was processed to make a 3D representation of the live action footage, and textured with the video stream from the DSLR. This allowed us to design a visual treatment that could progressively vary from abstract/fragmented to more representational. It is interesting how even at the abstract end of the spectrum, the viewer can pick up on the familiar human form and motion captured by this approach. We can see there is something essentially human from the outset, making for an intriguing visual narrative as the actor’s true form emerges over time.